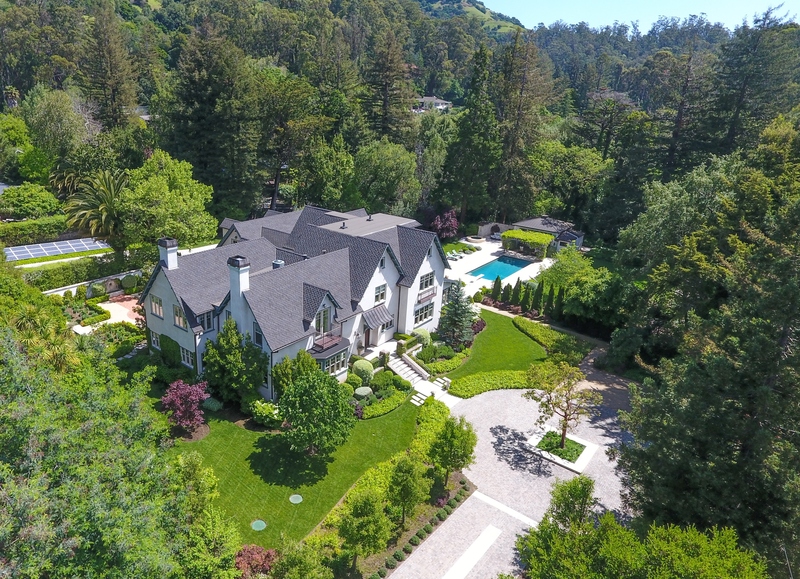 One of Marin’s most grand & historic estates! Once the site of the Selborne School for Boys. In 1907 Frank Madison of Pillsbury, Sutro and Madison built a Tudor Country Manor on this beautiful Dominican area site. 100 years later the present owners spared no expense in working with experts to exquisitely renovate the property. The over 9,000 sq. ft. of living space pays homage to the original warmth and grace blending history with contemporary elegance for today’s lifestyle. Edgewood was recently depicted in the Netflix series “Thirteen Reasons Why.” The timeless main residence of 6-7 bedrooms features impressive formal & informal rooms that combine one-of a find materials, antiques and architectural elements. The nearly 1.5 acre compound features specimen plantings, sprawling lawns, a pool house, saltwater pool, hot tub, bocce ball court, giant chessboard and irrigation well. A paradise for everyday living and entertaining! Available for Brokers and their clients Wednesday, May 3rd and Thursday, May 4th from 11-3 p.m. Epicurean luncheon provided by Stacy Scott! Public Sunday Open House May 7th 1-4 p.m.